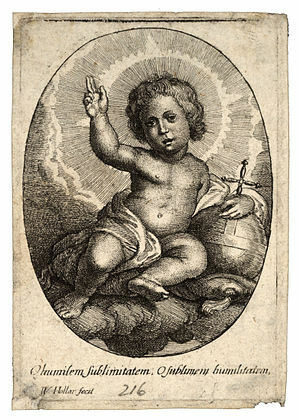 God as a Merman. The Shack. And sweet baby Jesus. This baby looks mighty powerful. That is the prayer from “Talledega Nights,” hands down one of the best scenes to quote at a family meal. 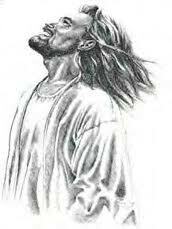 I love it because they talk about how they picture Jesus when they praying. His wife calls it “off-putting” to pray to baby Jesus, but Ricky Bobby argues that he is the one praying, and he likes the Christmas Jesus best. When you think about God, you can’t help but picture something. Or someone. What image comes to mind? I think it is one of the hardest aspects of having faith, is believing in someone we do not explicitly see…I feel God, sometimes I think I hear Him in scriptures or through other people, I can see his work in nature and in the lives of others, but I can’t see his face or hold his hand or let him hug me. What would that be like? I don’t know. Can’t wait to find out. When I try to “picture” God, He looks kind of like a Santa Claus character. Or Morgan Freeman. Or like King Triton in the Little Mermaid, minus the tail. I imagine his power, his deep voice. He is handsome, and a caring father. Not necessarily shirtless. I read The Shack recently. Its a controversial book among Christians…which made me really excited to read it because I enjoy a good debate about our beliefs. I don’t ever want to be a close-minded Christian who is scared of using books and other people who are “different” to further explore and define my faith. Briefly, the book is about a man named Mack. His daughter was kidnapped from their campsite a few years ago, and he has been in “the great sadness” ever since. Evidence of the brutality of the event are found in a shack in the woods. One day, he gets a note asking him to return to that shack, signed simply “Papa.” He goes and meets God, a black woman named Papa, who likes to cook and sing; Jesus, a middle-easten looking man who likes to fish and do carpentry; and the Holy Spirit, named Sarayu, who is like an Asian Rainbow Bright of living, moving colors, who enjoys gardening. They help him understand God and his daughter’s kidnapping in a different way. i like to picture my Jesus laughing at my jokes. Mack immediately connected with Jesus, and I think I would have too, because we’re more used to thinking of him in human terms. But Mack has a hard time with God being a black woman. I was even like, “this is weird…” But Papa explains that appearing to him in this way makes Mack see that He is truly a loving, caring, involved God. He is not the stern God of fire and brimstone that Mack had been picturing (King Triton figure), but someone who Mack could run into his arms, would cook him dinner, would literally wipe away his tears. And I love that. I want to feel that way about God. I love that He will appear to anyone in this world who would believe in Him, exactly as how that person would need to see Him to believe. We have a very personal God. 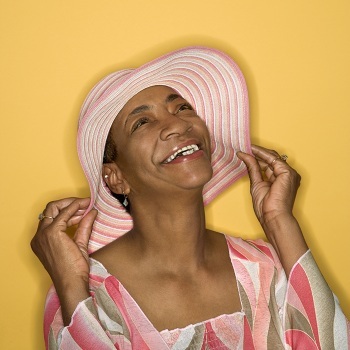 When I think about God as a laughing black woman, my heart gets a little warm and I want to tell him/her some jokes and hang out in the kitchen all night. If I get to Heaven and see this….I’m good with that. I would definitely recommend this book to anyone who has ever struggled with wondering where God is when bad things happen…or just wants a new perspective on faith. It challenged me and it comforted me, and it made me long for Jesus more. And all those things are good. How do you picture God? 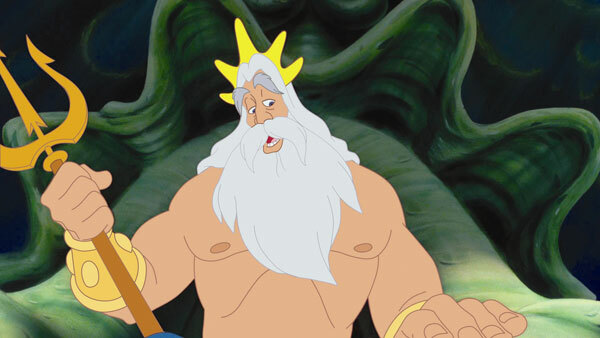 Do I picture God as a white father-figure, King Triton like, because I myself am white? Do people of other colors picture Him in their color because that would be most familiar? Do they picture him as a white man? Wouldn’t that change everything that is personal about faith? Do people who hear of God because a white missionary picture him as white? Does it make a difference if they hear of him from someone of their own color? What does that say about how we should approach missionary work? I enjoyed your post very much. “The Shack” struck a chord with me like no other book ever has! It’s brilliant, & I love discussing it with folks in my Sunday School class. It makes you think, doesn’t it? Any other books struck you like that? I honestly can’t think of another book that had such a profound impact on how I think about my faith — especially regarding the Trinity. But, the book “In His Steps” is one that really causes you to question your discipleship. I read The Shack a few years ago. It was like nothing I have ever read before. There were times I could barely get through it, having a young daughter myself. When I would be reading it, it was like there was nothing else going on around me. It was hypnotic and so very thought provoking. To this day, I am not sure why it had such a profound effect on on me, it was like I was there. 204 – Hey Jesus – Why do bad things happen to good people? | young, single, (un)professional.